Spacious 4 bedroom ranch with HUGE attached garage (795 square feet) and driveway for off-street parking. All appliances included. New roof, newly refinished hardwood floors, fresh exterior paint and brand new electric panel. Storage shed. Easy access to I-225, I-70 and DIA. Close to Anschutz Medical Campus, Stanley Marketplace and Stapleton Shops. 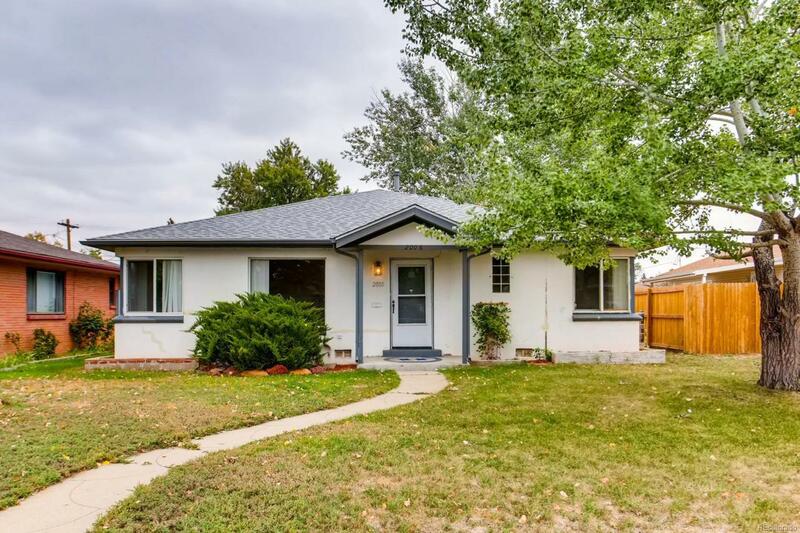 Walking distance to RTD lightrail/bus station. Quick possession. Buyer to verify all info. Please review reports in supplements prior to submitting an offer. © 2019 Information and Real Estate Services, LLC. IDX information is provided exclusively for consumers' personal, non-commercial use and may not be used for any purpose other than to identify prospective properties consumers may be interested in purchasing. Information is deemed reliable but is not guaranteed accurate by the MLS or 8z Real Estate. Data last updated: 2019-04-25T10:38:00.753.